We like to think that we are still a republic – and we do go through the motions of a republic, holding our elections, fighting over our political positions, witnessing our checks and balances, revering the wisdom of our Founding Fathers – and watching our three branches of national government lumber along. The sad truth is that after 238 years of wedded bliss, we have become a RINO – a republic in name only. We are like a stale suburban marriage, still legally married but sleepwalking through our prescribed, comfortable daily routines toward yet another predictable day of lather, rinse and repeat. From time to time, one of the partners seeks a little excitement with a little action on the side. Not content with the steady and loyal partner, one side or the other succumbs to the temptation of an extramarital affair and often that means being with something a little different, perhaps a little more exotic and risky, something a little edgy, something just a little dangerous and close to the edge. Something from the other side of the tracks. That’s how we got Barack H. Obama. But we won’t quit each other. We can’t. So, like a fading marriage, we go out looking for a counselor, an expert, to fix us, a political Dr. Phil of sorts. It usually winds up being a turn toward government because like the comforting friend who is always at the end of the bar, what we are looking for is stability and consistency. We want someone to tell us that it is going to be OK and that the sun will come out tomorrow. We want someone with wisdom to guide us through the tough times with good advice. But often that expert, that friend at the end of the bar, isn’t Dr. Phil. 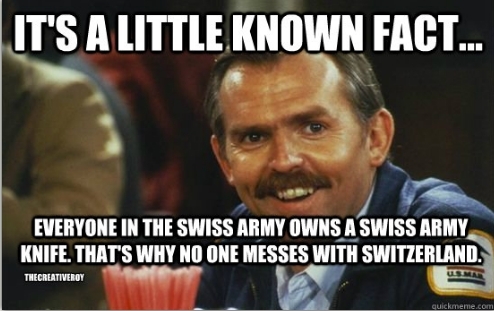 More often than not it is Cliff Clavin from the old TV show, “Cheers”. The point being that when we rely on so-called experts, the experts themselves can be – and often are, simply wrong and like good old affable Cliffie, they are also reluctant to admit that they are wrong even in the face of failures that illustrate their ridiculousness. We on the right like to think that this “expertitis” is a disease of Democrats but the fact is that the GOP loves them some government by expert, too. Albeit at a slower rate under GOP control, the institution of government never stops growing – whether measured by the number of government employees, share of GDP or tax receipts it has continued to grow under both Republican and Democrat administrations and Congresses. Both parties even revere the “experts” who have expertise in nothing but navigating the morass of our federal bureaucracy. They are all Clavinites when it comes to the institution of “expert” governance. If you take a look at the founding principles of America – the text of the Declaration of Independence and the Constitution, you will notice three things. First you will notice that they are short. The Constitution, the founding document of our Republic, contains 4,543 words, the Declaration has 1,458. If you figure an average of 500 words to an 8.5 X 11 page, that’s 9 pages for the former and 3 for the latter. The key foundational documents for creation and governance of our Republic total 12 pages. Secondly, you will notice that these documents are very direct and specific about the limits of the power of the federal government, employing words like “shall make no law” and my personal favorite, “no”. The last thing you will notice is that they are written in clear, succinct, common language, designed to be understood by the common man. 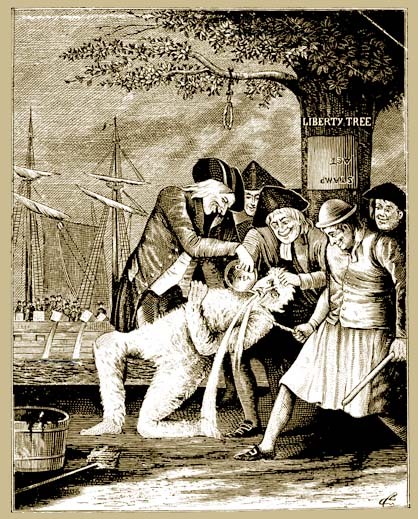 It was not even necessary for a colonist to be able to read, these words were easy to recite and comprehend because they are based on natural laws and natural laws are like gravity – it doesn’t matter if you agree with them or even understand them, they still apply equally to everyone (as far as I know, Al Sharpton hasn’t decided that gravity is racist – but there is still time, I guess). Perhaps it is time to break out the tar and feathers for the Clavinites. Our country was not designed to be run by credentialed, not educated, Clavinite experts (hat tip to Glenn Reynolds) with multiple degrees and life-long careers inside the bureaucracy. Our theory of governance is based on wisdom and more to the point, trust in the wisdom of the common man. November 10, 2014 in "Progressivism", Constitutional Rights. Seriously Good Post though ! Republic In Name Only ( RINO ) , So true. Post- Constitutional as Mark Levin says. I think however, we ARE at a spitting point…..a point where we are close to a certain kind of imminent “divorce” if you will. The reason being that there is a wide divide in the populace in the very “idea of America”. The fact is we DON’T have affection for nor agreement on what that Idea is. WE Conservatives DON’T have affection for the Socialist interpretation of America, and the Communist Left has increasing hostility towards the ideas and ideals embodied within the Declaration, Bill of Rights and Constitution. There’s no need for a divorce. Utah is correct in pointing out that Natural Law does not depend on our agreement. And, just like gravity will eventually overcome a cartoon character who thinks he can run on thin air, whether we want to recognize it or not, Natural Law will eventually reassert itself and our creations will crumble. History is beyond debate on this point. Hats off to Utah for focusing on this eternal truth. The US will split…. I see it. The Texas movement….the fact that 1 in 4 people in 2014 are in favor of secession. The Mood is beyond any one person and is bubbling within Millions…. Both the Socialist destructive mood and the Mood for freedom and the reassertion of Natural Rights. Because you are right Natural Law WILL reassert itself.